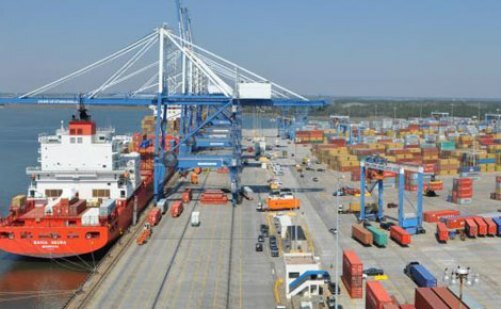 Kenya Ports Authority (KPA) on Wednesday said it has recorded an overall improvement in its key year-on-year performance indicators, as well as an increase in cargo handled in the port city of Mombasa during the month of June and six months into the year. During the month of June, the port handled throughput of 2,720,000-deadweight tonnage (DWT) representing a 0.6 percent increase compared to the same month last year. The growth is attributable to an increase in dry bulk and containerized cargo, which recorded an increase of 6.8 percent and 10.6 percent respectively. Speaking on the performance report, KPA acting Managing Director Dr. Arch. Daniel Manduku said whereas the increase of throughput and container traffic is an indication of vibrant economic activities in the region, the performance indicators of the Port Authority had equally improved. “Numbers give a concise picture and our performance indicators are showing an un-mistakable improvement. The indicators cover productivity and berth occupancy all of which have shown a distinct improvement,” he said. The period January-June saw the port register a 2.4 percent growth in throughput compared to the same period last year. Imports took a lion’s share of the throughput at 83.6 percent, while exports registered 12.5 percent. Transshipment cargo recorded 3.6 percent of the total traffic. The service indicators show the average cargo dwell-time, port days that vessel stay at the port and container ship turnaround. According to the performance report, the average container dwell-time was at 3.4 days compared to 3.8 days last year.